Take up challenges to be a leading company in the field of brain industry with our technical capabilities and spirits of challenge. 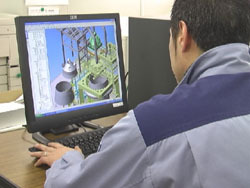 Setouchi Engineering is a group of designing specialists whose fields vary from machine, civil engineering, construction, to electric designing, and information field. 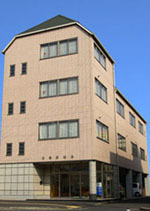 There are several offices in Okayama: Central Okayama Office and Chemical Resident Office, including the headquarters designing office. In Hiroshima, we have Mihara Office and Fukuyama Office. In Shikoku, we have two offices, one in Takamatsu and the other in Marugame.In Hyogo,we have Kakogawa Office. Based on technologies which we have accumulated long since its founding in 1973, we design various different machines, facilities, aircraft parts, electric systems, and systems engineering not only for manufacturing industries but also for civil engineering, construction and electric industries. We are also capable of a wide variety of development activities using most recent 3D CAD system so as to meet the needs and expectation of our customers, from concept making to drawing making, by highly-qualified engineers using the CAD system. We are capable of development and designing of construction and components using high-level 3D image processing, as well as intensity analysis through data simulation and aerodynamic analysis as we have most recent 3D CAD/CAM systems, such as CATIA-VA and Inventor. 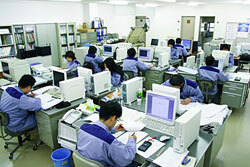 Machine designing　･･･ General industrial machinery, various precise machinery (fixtures, single-purpose machines, machine tools, transportation systems), automotive parts, large manufacturing plant facility, piping system for canning, medical devices, production facility development and designing aircraft parts, etc. construction designing Foundation of plant equipment, expressway facilities, structural steelwork such as warehouses in factories, construction and intensity calculation. Systems engineering ･･･ Consulting, development, and preservation for general information systems. ■ Company Name ： Setouchi Engineering Co., Ltd.